It’s as if people sign up and immediately go into the Witness Protection Program. They start out excited their first few days, or maybe even their first few months, but then they disappear. First off, this is very common in our industry. My goal today is to talk about some of those reasons, and offer you a solution to each issue. They might sponsor five or ten people and then they sit back and go into management mode. If you’ve sponsored less than 200 people, you better keep personally sponsoring. It’s not your job to manage anyone. You have to realize that only about 1 in 5 people will do anything at all to grow their business. About 1 in 10 will be a part-timer. And about 1 in 100 will be serious. You can’t turn a donkey into a stallion! To clarify, these people are good people. They just aren’t serious distributors. You have to sponsor a lot of people to find your workers. This will be maximum one to five percent of your team, if that. By all means love on everyone. But find the workers and work with the workers. And, never, ever go into management mode. Don’t forget to be a worker yourself! Even if they are underpaid and unhappy, they are fairly comfortable. Just about everyone in America has a car, a smart phone, a large flat screen television, three meals a day and a roof over their head, even if they are broke or getting a free check from Uncle Sam. This comfort zone holds people back. Because they are comfortable, even if they are unhappy, they will not do things that make them uncomfortable, like pick up the phone, call a prospect, and get rejected. Most people get home after a long day of work. They have dinner with their family. They help their kids with homework. They watch their favorite television shows. Before they know it, it’s bed time. And gosh darn it; they forgot to do anything to build their network marketing business. That’s why you need to help each team member figure out their own why. You have to remind them of their why, especially when they are down and out or unmotivated. This could be your secret weapon, if you understand it. I learned this lesson from my sponsor, Don Failla, and it is so true. One of the most common reasons people don’t do much to build the business is because they haven’t found a way to build the business that makes sense to them! They haven’t found a business building method they would be comfortable doing. As a result, they do nothing. As a sponsor, it’s your job to help each person on your team find a way to build the business that makes sense to them. Know a few different ways to build the business. Offer them some different options and let them choose the one that works for them. Forcing everyone to do the business the same way is idiotic (just my thoughts). Everyone has different talents and abilities. What works for you might not work for everyone on your team. Verse yourself on several business different building methods so you can teach people how to do them effectively. If you think the turnover in MLM is high, you out to see the turnover in the sales profession. Many other industries such as insurance and real estate sales have VERY high turnover rates. Why would someone quit an industry like real estate or insurance, even though they spent a few thousand dollars and went through intense training to get started? Because picking up the phone, calling strangers and getting rejected is tough! No one likes to be rejected. Most people do not have thick skin and can’t handle it. Most people are not entrepreneurs. You have two options if you want to help your team. You can sponsor people who are already mentally tough, which is a good option. You can also train your current team how to be mentally tough. I suggest you do both of these things. These are four reasons your downline does little or nothing to build their network marketing business. As a sponsor, it’s your job to help your team members overcome their biggest hurdles: themselves. It won’t be easy, but tons of people have a lot of potential that could be tapped into if you have a game plan to help them. Leave a comment below to let me know your opinion. 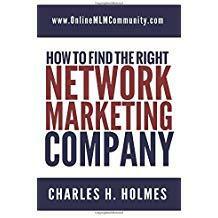 Next Next post: How to Attract Good MLM Prospects? I believe you hit the nail on the head with your first statement. We haven’t sponsored enough people. MLM is a business of numbers. A huge percentage of down line members will not do anything, but if we sponsor enough people, we will find those who will do something. But, we must also work with our newly sponsored people too. If they have no clue how or why, naturally they will do nothing, because they don’t know how. We don’t do it for them, but we can, and should work with them so they have the ability to present the products and company in an accurate way. I do believe it is important that we realize a big percentage of the people we sponsor will not do anything. Any business with a selling component is a numbers game.